“Keep Austin weird.” That’s been a long-time slogan of the Texas town, adopted by the local business and artist community. It's a slogan that has always worked well in conjunction with the annual SXSW festival. I like that weirdness, Austin’s blend of indie, counter- and subculture traditions. 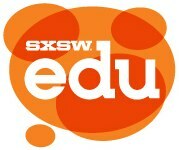 After last year’s SXSWedu, I thought hard about whether or not I’d come back. But I figured that as it was only the event’s second year, I’d give it another shot; I’d do what I could to improve things rather than to simply shrug and walk away. I sat on the event’s Advisory Board (meaning I reviewed proposals as part of the SXSW Panel Picker process) for example. Unfortunately both these issues — the corporate-driven conference agenda and the lack of educators — seemed to be exacerbated this year. It’s been a while since I reviewed panel proposals for SXSWedu, and I can’t remember any trends that really stuck out among those I looked at. But I thought the conference organizers did a pretty good job pulling together a program that covered a range of important topics and trends: MOOCs, Maker culture, gaming, entrepreneurship, data and analytics, and so on. But with an inBloom lounge and an inBloom session track (in addition to the data track) and an inBloom party and an inBloom hackathon and lots of folks in inBloom t-shirts and a Gates Foundation party and a Bill Gates keynote… well, it felt pretty obvious what the agenda of SXSWedu was meant to be. Or rather whose agenda it was meant to be. Of course, event sponsorship is always awkward and frequently awful. And it’s rarely the panels or keynotes themselves that are the most rewarding at any conference. Rather it’s the hallway and dinner conversations. These are more likely when and where those difficult and productive conversations happen. 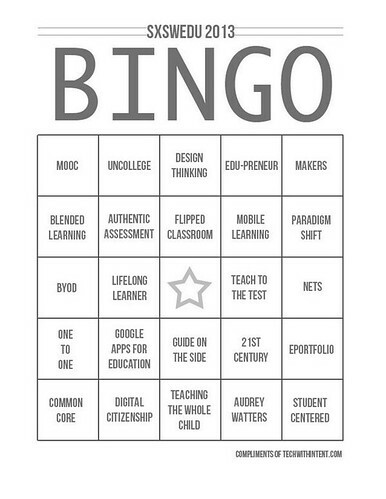 I do appreciate that SXSWedu provided more physical spaces and allotted times to encourage this sort of thing; but I can’t help but think that a more unconference-y SXSWedu would be weirder, less scripted, less corporate, and as such mo’ better. Looking at what SXSW Interactive has become, however, I won’t hold my breath. Like all events that I attend, it’s the people — face-to-face — that make the travel worth it. New friends. Old friends. People I haven’t seen since last year in Austin —that’s key and that could well be the makings of a nascent SXSWedu community. But it’s pretty damn nascent, and I do wonder how much damage that “tension” between educators and entrepreneurs and that obvious corporate agenda has done to it. So will I go back next year? I don’t know. It depends on if you’re going. It depends on the major sponsor, and hence the keynote speaker. (I have my predictions already about who that’ll be. Do you?) And frankly I think it depends, a year from now, on how “weird” — “punk” weird or “puke!” weird — ed-tech has become.